Extension Mount (Part # KSAEM01) for use with Kessil Mounting Arm (Part # KSAGN02). 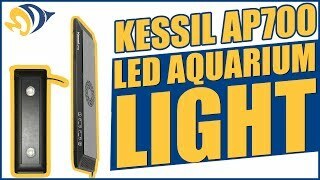 I have a 70 gallon rimless aquarium with 2 Kessil A160 lights and one kit can do 2 lights. If you install the mounting brackets to the back of your cabinet right below the tank one of these kits will extend the mounting arms more than high enough over the water surface. 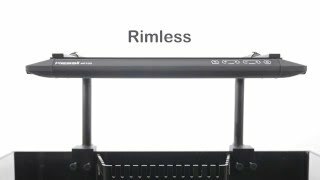 The Extension Mount comes with two extension tubes, allowing a total length of 57 1/2". It works with A160, A360, and AP700.